Linden High School has a new Mini Food Service truck that will be driven on campus to serve students! 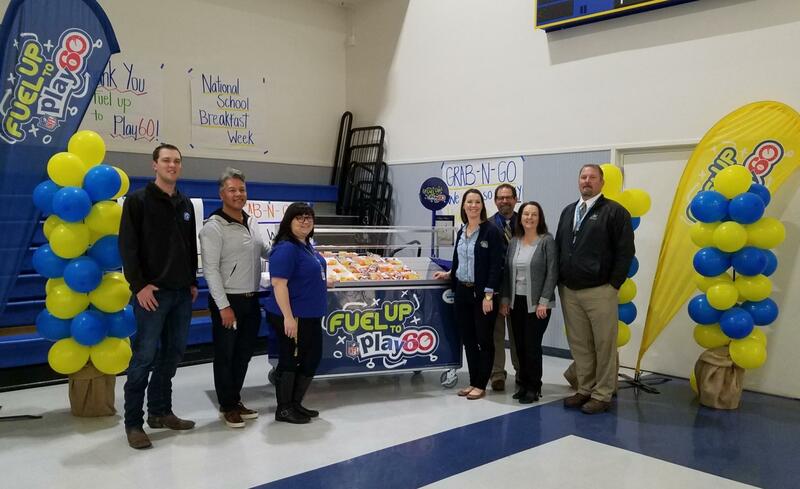 Thank you Fuel Up To Play 60 and Aaron Judge and his family for donating a "Grab And Go Breakfast Cart". 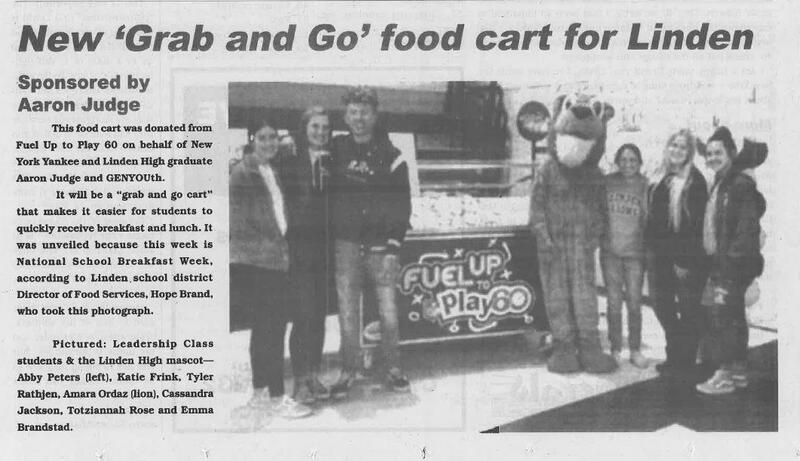 The cart can be used for both breakfast and lunch and will be an amazing addition to Linden High School! The unveiling was March 5th, 2019 at nutrition break, thank you for everyone who made the event a success! Our new online services make paying on your students account fast and easy! You can also apply for Free & Reduced Applications online! 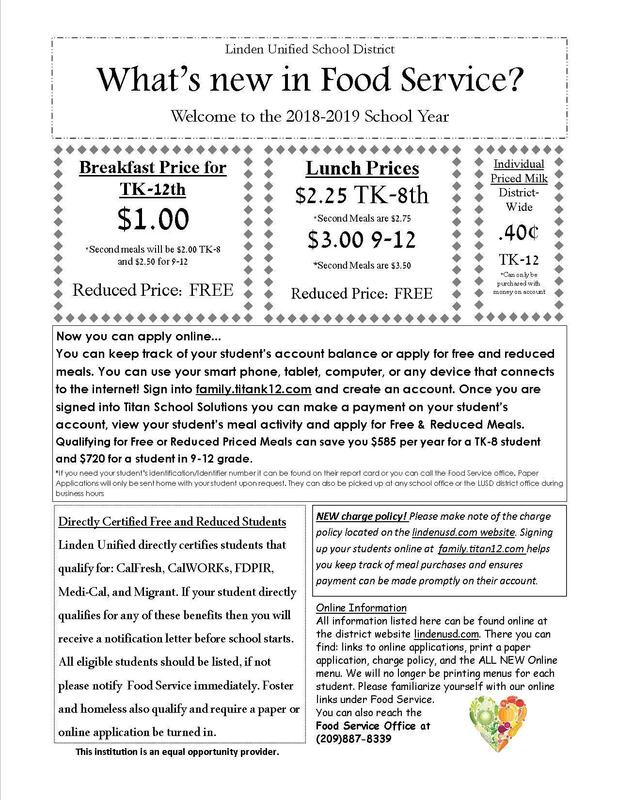 You can keep track of your student’s account balance or apply for free and reduced meals. You can use your smart phone, tablet, computer, or any device that connects to the internet! Sign into family.titank12.com﻿ and create an account. Once you are signed into Titan School Solutions you can make a payment on your student’s account, view your student’s meal activity and apply for Free & Reduced Meals. 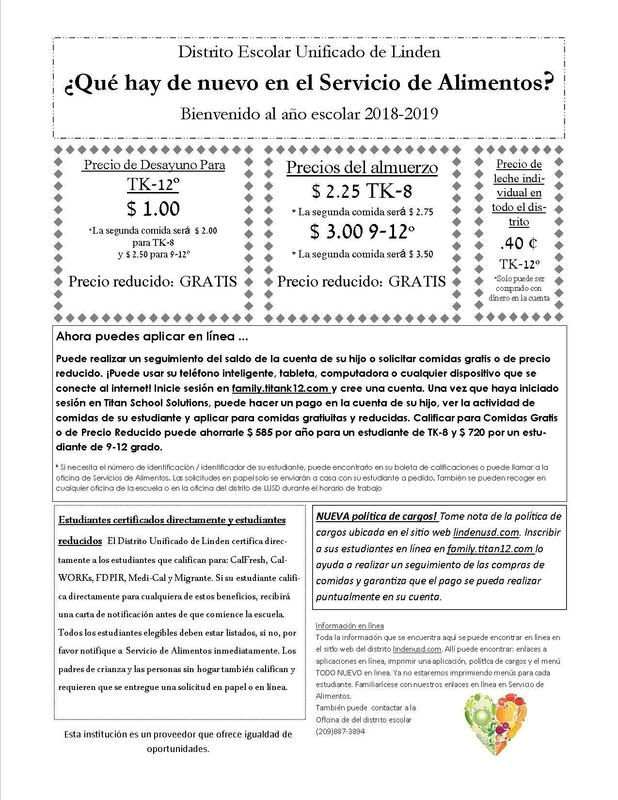 Qualifying for Free or Reduced Priced Meals can save you $585 per year for a TK-8 student and $720 for a student in 9-12 grade.